Glides to the forefront of stagings all over the world. The fabled lake of the swans has risen into view, inspiring awe for its mystery and magic! 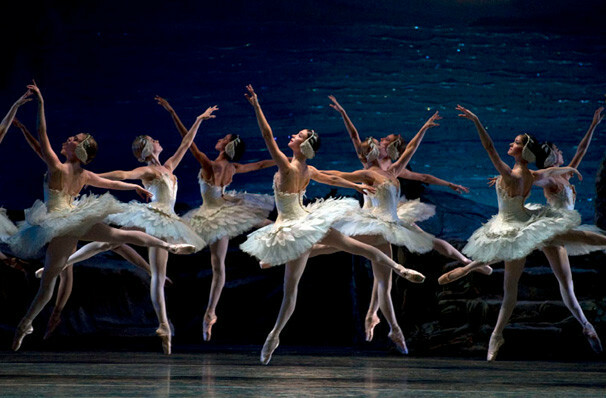 Why See American Ballet Theatre - Swan Lake? 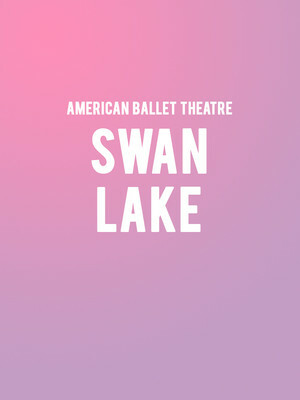 Swan Lake is one of the world's best loved ballets, performed by the most prestigious ballet companies around the globe, in this case the American Ballet Theatre. This ballet tells the timeless story of good and evil, and love and tragedy that has enchanted audiences since 1877. WHAT IS SWAN LAKE ABOUT? Set against Tchaikovsky's haunting score, the ballet tells the story of a beautiful princess - Odette- who is turned into a swan by an evil sorcerer's spell, only to return to her human form at night. One evening she encounters Prince Siegfried, the heir to the kingdom, and the two fall madly in love. But after dancing together, she mysteriously disappears into the night, leaving him desperate to find her. Meanwhile, his parents are keen for him to marry into another royal family and hold a ball for him. The Prince is despondent, until the arrival of a mysterious black-clad woman who looks exactly like his beloved Odette - however, this woman is called Odile, and is dressed like a Black Swan. This stranger dances flirtatiously and wildly, and Seigfried is overjoyed, until he notices a mysterious figure in white desperately gesturing to him from a mirror; Odette. Will he be able to break the sorcerer's spell and be with the princess that he loves? The roles of Odette and Odile are traditionally played by the same prima ballerina and is a testament to the skill involved in inhabiting two very different roles. The Oscar-winning movie starring Natalie Portman and Mila Kunis "Black Swan" is a dark study into what it takes to be able to dance the dual roles. Sound good to you? Share this page on social media and let your friends know about American Ballet Theatre - Swan Lake at Metropolitan Opera House. Please note: The term Metropolitan Opera House and/or American Ballet Theatre - Swan Lake as well as all associated graphics, logos, and/or other trademarks, tradenames or copyrights are the property of the Metropolitan Opera House and/or American Ballet Theatre - Swan Lake and are used herein for factual descriptive purposes only. We are in no way associated with or authorized by the Metropolitan Opera House and/or American Ballet Theatre - Swan Lake and neither that entity nor any of its affiliates have licensed or endorsed us to sell tickets, goods and or services in conjunction with their events.